How do I pay my monthly bill? The cost of your chosen membership package will be automatically drafted from the credit card or bank account that you provided upon signing up. Can I cover more than one car? Yes. As long as the member holder is present at the scene of the emergency we'll dispatch someone for you. Your membership becomes active 24 hours after purchase. You will receive your card and membership detail package in the mail within 10 days. You can submit a service request with just your member ID. What number do I call for help? Where will my vehicle be towed? Security Members and Security Plus Members will have their vehicle towed to the nearest servicing facility or can choose to have their preferred garage tow the vehicle to their own service station with reimbursement from MCA of up to $100. Total Security Members can take advantage of our "sign and go" service which covers reasonable roadside repairs. 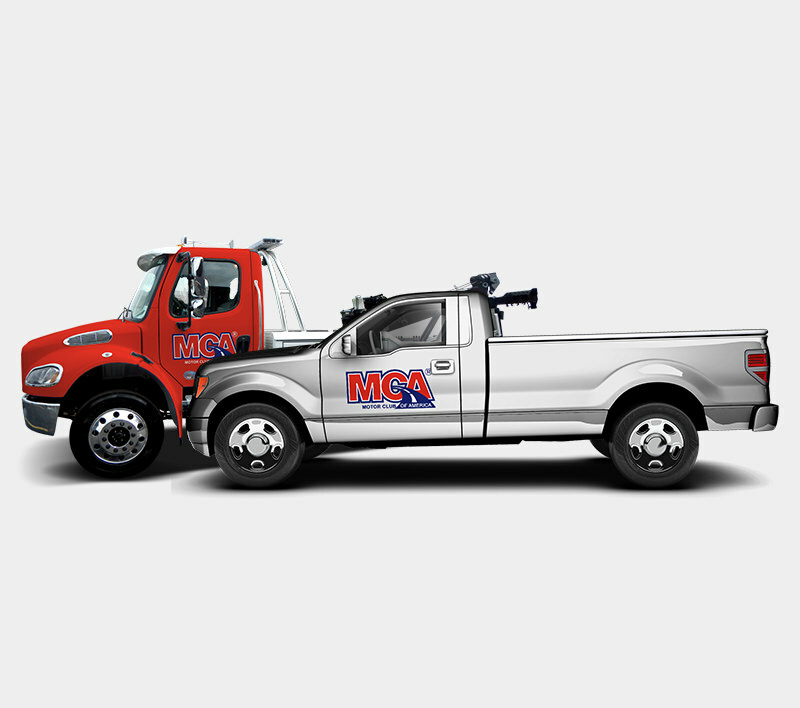 If the necessary repairs require more than 30 minutes of labor, MCA will tow your vehicle to the destination of your choice within 100 miles. What vehicles do you cover? Our Total Security Plan offers reimbursement of up to $100 to provide emergency roadside assistance to recreational vehicles, motorcycles, trailers, and vehicles with a load capacity of 1 ton or greater.